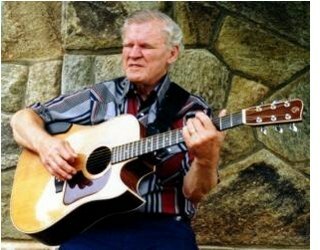 MerleFest 25, presented by Lowe's and slated for April 26-29, is an annual homecoming of musicians and music fans, gathering to celebrate the memory of musician Eddy Merle Watson, beloved son of American music icon Doc Watson - who himself is the recipient of seven Grammys. Doc will share the MerleFest stages with the following 2011 Grammy nominees: Bela Fleck & The Flecktones, the Original Lineup (nominated for "Best Instrumental Composition"), Vince Gill (nominated for "Best Country Song"), Alison Krauss & Union Station featuring Jerry Douglas (nominated for "Best Bluegrass Album"), Jim Lauderdale (nominated for "Best Bluegrass Album"), Steep Canyon Rangers (nominated for "Best Bluegrass Album"), Tedeschi Trucks Band (nominated for "Best Blues Album") and artist Chris Thile, performing with the Punch Brothers at MerleFest 25 (nominated for "Best Bluegrass Album"). Of course, MerleFest 25 boasts the talents of many artists who have already received that most prestigious of music awards. Besides Fleck (12-time Grammy recipient), Gill (15-time Grammy recipient), Lauderdale (three-time Grammy recipient), Tedeschi Trucks Band and Thile (two-time Grammy recipient), other Grammy honorees include Sam Bush (three-time Grammy recipient), John Hammond, David Holt (four-time Grammy recipient), Jerry Douglas (12-time Grammy recipient), Los Lobos (three-time Grammy recipient), Nashville Bluegrass Band (six-time Grammy recipient), Tony Rice, Peter Rowan, Marty Stuart (five-time Grammy recipient) and dobroist Tut Taylor. Of special note in Grammy history is MerleFest 25 performer Alison Krauss, whose 26 prior wins makes her the most awarded female artist in Grammy history. In addition to its stellar roster of Grammy-nominated performers, MerleFest has also become known for spontaneous moments, collaborations and last-minute performance additions. To keep up with any additional changes and additions to this year's lineup – even during the festival – MerleFest encourages fans to sign up for the e-newsletter and to follow the festival through Facebook and Twitter. Links are available at www.merlefest.org. Ticket purchases for MerleFest 25 can be made on the web at www.merlefest.org or by calling 1-800-343-7857. An early bird ticket discount is available through March 12, 2012. With over 90 artists performing on 14 stages during the course of the event, MerleFest 25 is an excellent entertainment value. A complete list of confirmed performers is available at www.merlefest.org. MerleFest, considered one of the premier music festivals in the country, is held on the campus of Wilkes Community College in Wilkesboro, North Carolina. MerleFest was founded in 1988 in memory of Eddy Merle Watson and is a celebration of what Doc Watson calls "traditional plus" music, meaning the traditional music of the Appalachian regional plus whatever other styles we were in the mood to play." The annual festival has become the primary fundraiser for the WCC Endowment Corporation, funding scholarships, capital projects and other educational needs.